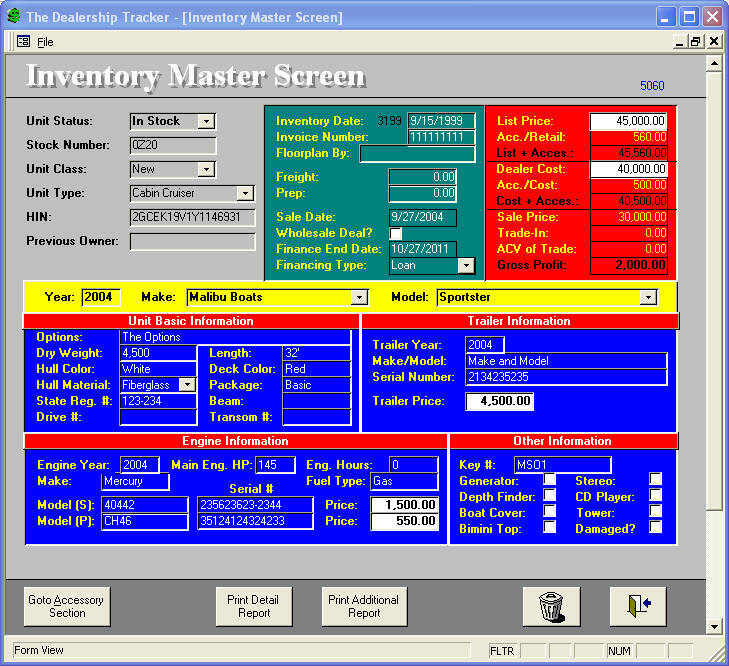 Our inventory management area allows you to track your inventory in detail and track all costs associated with every unit and automatically update your dealer cost. Also has direct links to other websites/programs like Carfax, Black Book or Kelley Blue Book. 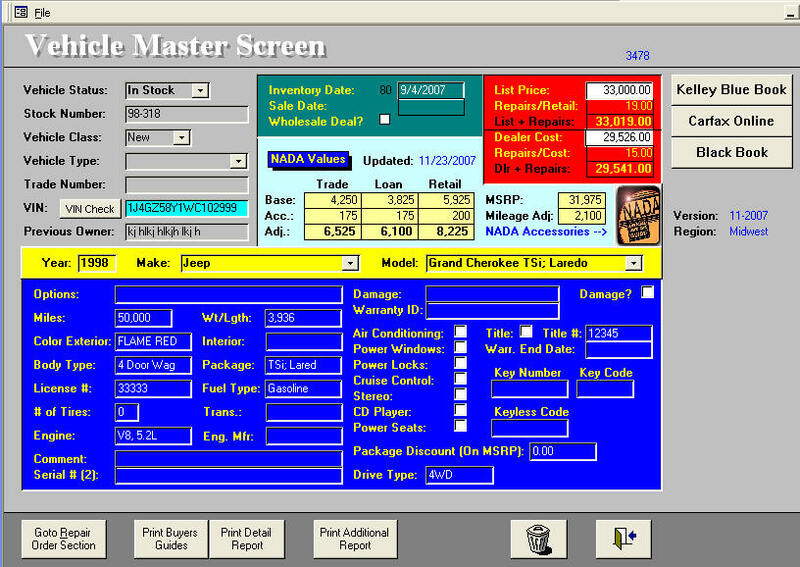 Print several reports/forms directly from this screen like buyer's guides, inventory delivery checklists, etc. If you use the Autosoft DMS, this will have a direct link and show you all the real-time internals and other information in your DMS. This will also automatically update your inventory that is in your DMS.